An ideal mix of picture-perfect scenery and ancient history welcomes you to the city of Paro. The land of unsullied wilderness is blessed with many sightseeing spots which makes it every travelers paradise. 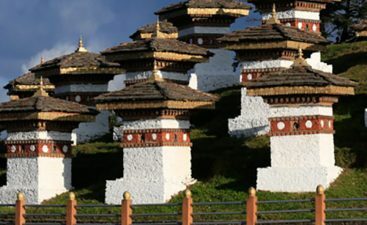 This quiet place has a lot to offer to its visitors and one must check in all the touristy spots and include them in their ‘things to do in Paro list’. The place is also the heaven for the peace lovers and travelers who love to enjoy nature. The scenic town that lies in the center of the valley is made of small yet colorfully painted shops which are lined across the street. 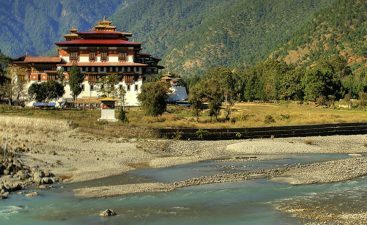 The town which consisted of a single street during the year 1985, when it was founded has come a long way to become the most visited tourist destination in Bhutan. 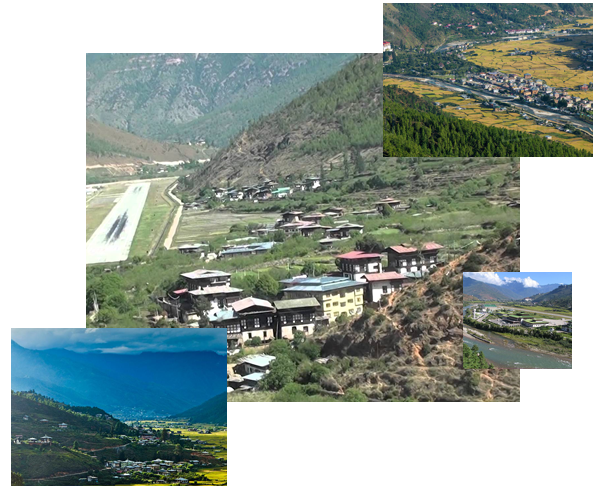 Over the years the town transformed into a tourist spot and the tourism accelerated with the foundation of Paro airport. 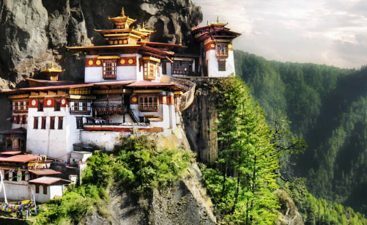 Nestled amid wilderness The Tiger’s Nest Monastery is the bejeweled crown of Bhutan and one of the key places to visit in Bhutan. The monastery is one of the most sacred pilgrimage sites of the country and can be reached after a thrilling trek. 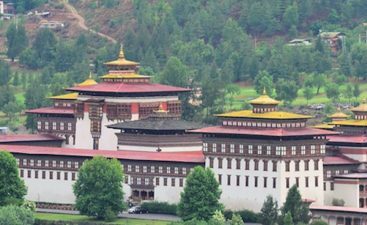 Apart from Tiger Monastery, there are many other places for sightseeing in Paro, namely National Museum of Bhutan, Buddhist Temple Kichu Lhakhang, Jangtsa Dumtseg Lhakhang. Apart from visiting beautiful Buddhist temples tourists can also explore splendid Mountain peaks and indulge in adventure activities like trekking, mountain biking, kayaking, rafting and so much more, or can explore Paro’s weekend market for souvenirs, and other interesting goods. Tourists can also plan their trip to Paro during the famous festival Paro Tsechu and get soaked in the rich cultural heritage of the city. The city has something for every kind of traveler, so one can visit here on a family getaway, or can explore self on a solo trip or can enjoy a peaceful getaway with friends.